Atrix 4G Hacked Before You Can Even Buy It ! 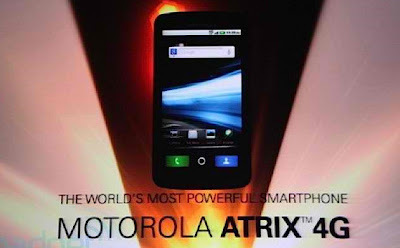 Following in the steps of the HTC Evo before it, the Motorola Atrix 4G has been hacked to give root privileges before the phone is even available to buy. In more evidence that Android hackers are frequently out-pacing the creators of the phones themselves, the third post in the xda-developers thread where the root was announced was a half-sarcastic "why did it take so long?" Right now, this is more of an academic achievement than a practical one for two reasons. First, the actual steps to obtain root privileges haven't even been released to the public. Second, there is still a good chance that one of the main draws of rooted phones, custom ROMs, will be difficult to install thanks to an encrypted and locked bootloader. While rooting your phone is highly discouraged (as it's likely to cause an increased security risk, break all kinds of terms of service and make your carrier very unhappy) the speed of this announcement is nothing short of astounding. If the amount of interest that the hacker community has in this phone is paralleled by the general public, it looks like Motorola and AT&T might have a winner on their hands.